Reports abound about the Millennials being the generation of renters who want flexibility and freedom, making it an ideal time to become a property investor. 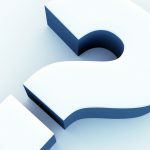 But owning rental properties comes with constantly evolving responsibilities,and landlords must keep up with the demands and requirements of ever choosier tenants. An article in The Telegraph reports that one in three landlords have had at least one void. Why so much turn around? In part, of course it’s because of the tenants’ lifestyle, but there are many steps landlords can take to entice tenants to rent longer term. 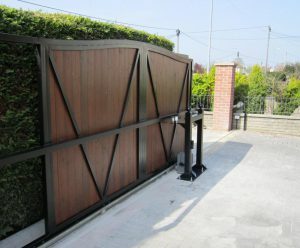 TPS Gates & Doors for electric gates, wooden gates, metal gates. You can consider that research done when you work with TPS Electric Gates. With twenty years of experience behind them, our engineers will help you make the choices that will enhance and safeguard your investment. They will begin with a survey of the property to determine the most strategic size and location for your gates. They will also question you about the regularity of its use – the more tenants you have the sturdier the material and design should be. Also the more parking spots and landscaping on the property the more thought needs to be put in about where to dig to run cables and ducts. They need to measure and analyse the soil to how deep to dig for gateposts and how to position them so as not to interfere with the established flow of tenants. If necessary they will perform the landscaping and grounds management after the installation. And of course our extensive list of services includes maintenance for the life of your gates. At our highly equipped manufacturing plant we produce a wide range of gates: steel gates, ironwork gates, steel framed gates with hardwood timber cladding. Our engineers can compare and contrast operating systems for you before you decide: underground gate operators, post mounted gate operators or sliding gate operators. 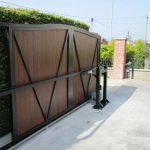 There are also a variety of opening functions to choose from: swing gates, gateposts, sliding gates, soft stop and running gear. The hinge position of each is crucial when installing. Our automation systems run on the highest technologies available. Our designs include override for access in case of a power outage. Our engineers also help you chose the control system best suited for your property: wireless GSM, intercom, free exit loop, timer and push buttons. Many landlords across Bristol, Bath, Gloucester, Cheltenham, Cirencester, Chepstow, Newport and Clevedon have relied on us to keep their properties safe and their tenants happy. We’d like to make you one of them, so give us a call today.